well, as promised. here’s a little look-see into our prospective home! i only say ‘prospective’ because we are in the final stages of closing on our current house. we are not officially closed but…it’s gonna happen. they really, really, want our home. so without further ado, here are the bones of our new home! 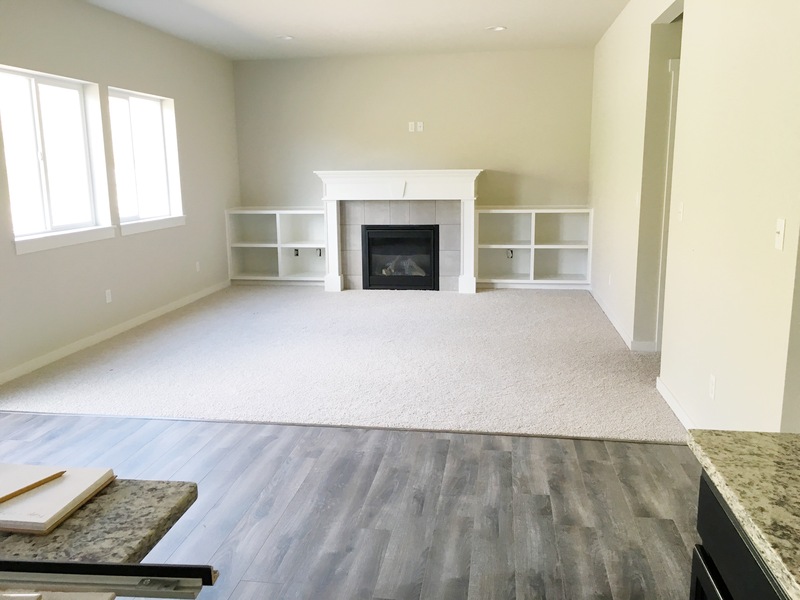 i can’t wait to get in there and make it cozy, yet elegant! 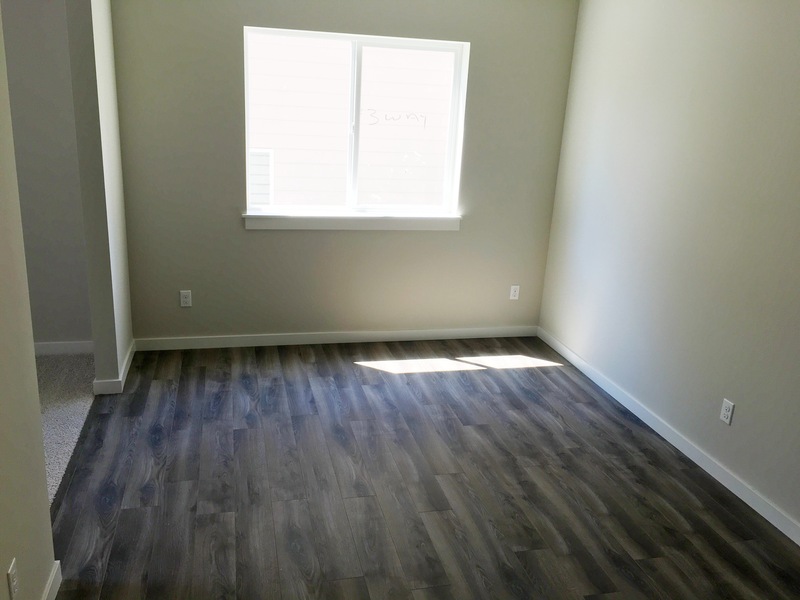 this is the formal living as soon as you walk through the door. i am a southern woman so dedicated rooms were a must on our checklist. i loathe open floor plans. like….alot. this is the same room looking in from the formal dining. i don’t know why i didn’t get a picture of the tall window too but it’s up there! 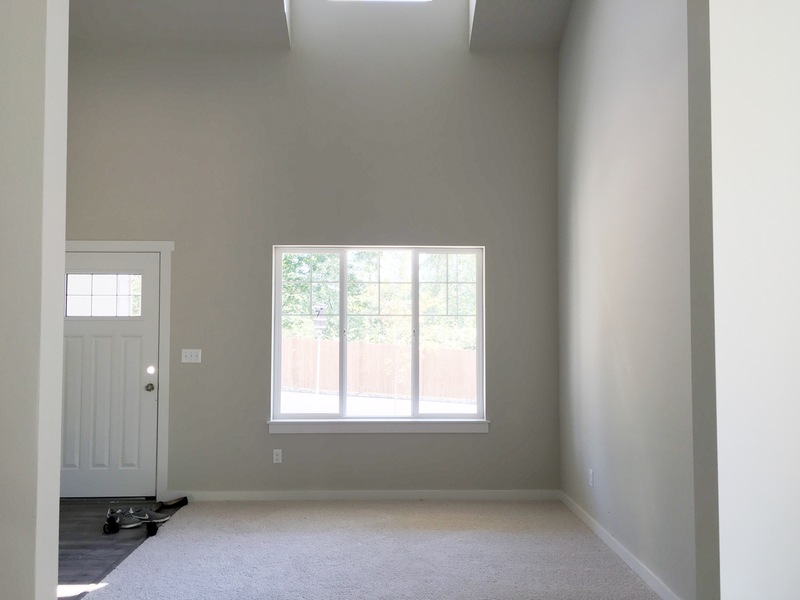 so much natural light! that was another major must-have on our check list! picture an elegant sofa, two accent chairs around a simple coffee table, a super chic rug and beautiful drapes…can you see it? I CAN! this is a chopped off picture of the formal dining. this was on my must-have check list! now i can host all the things that i’ve wanted to! yes yes and some more yes. but hold the phone. i low key HATE the color of these cabinets. so…first things first, before moving all of our stuff in, we will be hiring painters to come in and paint them white. and then the two sets of cabinets on either side of the sink, we will add glass to the front. the stove, microwave and dishwasher all come with the home but the dishwasher is poop so along with a new fridge, we will also be purchasing a better dishwasher. yay for new appliances! so you can see that we have a little room off of the kitchen to have a breakfast nook. and then LOOK AT THAT FIREPLACE! k, so picture a huge sectional with chaise, lots of comfy pillows and throws and a big tv on the mantle. this is probably going to be my most favorite place to be in the entire house! the upstairs hallway. to the left will be the guest room, that door right in the middle is a full bathroom and then there are two bedrooms at the front of the house. one is jaz’s room and the other will be a nursery for a future baby a! 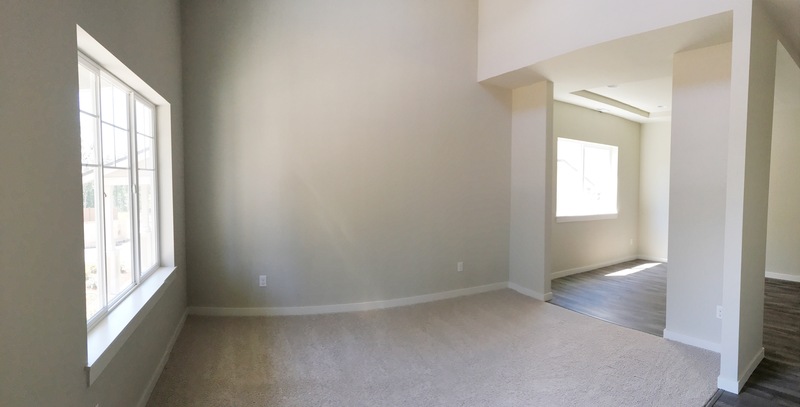 uhhhhh…hello master bedroom! there is so much room for activities! i’m obsessed! 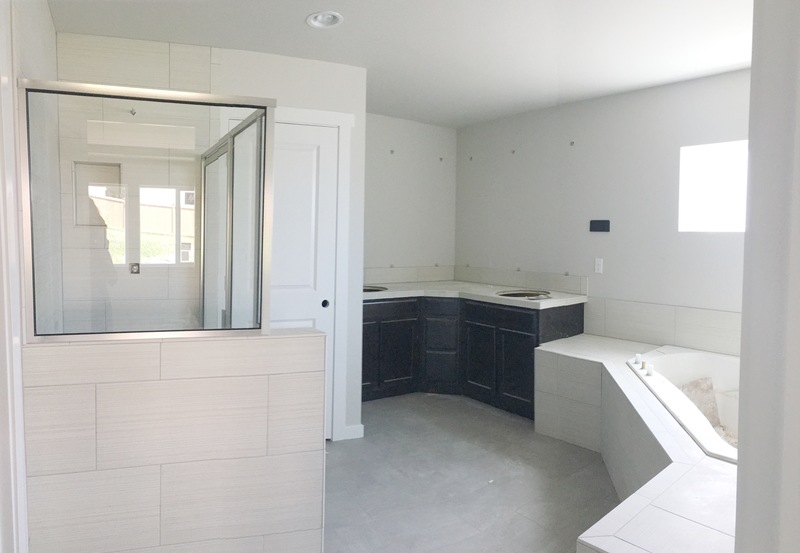 and the master bath! the cabinets in here will be white as well. LOOK AT THE TUB! i can’t wait to lounge in that bad boy with a nice glass of wine! yes yes yes! i can’t believe we found this property on a whim! it is so perfect for us. 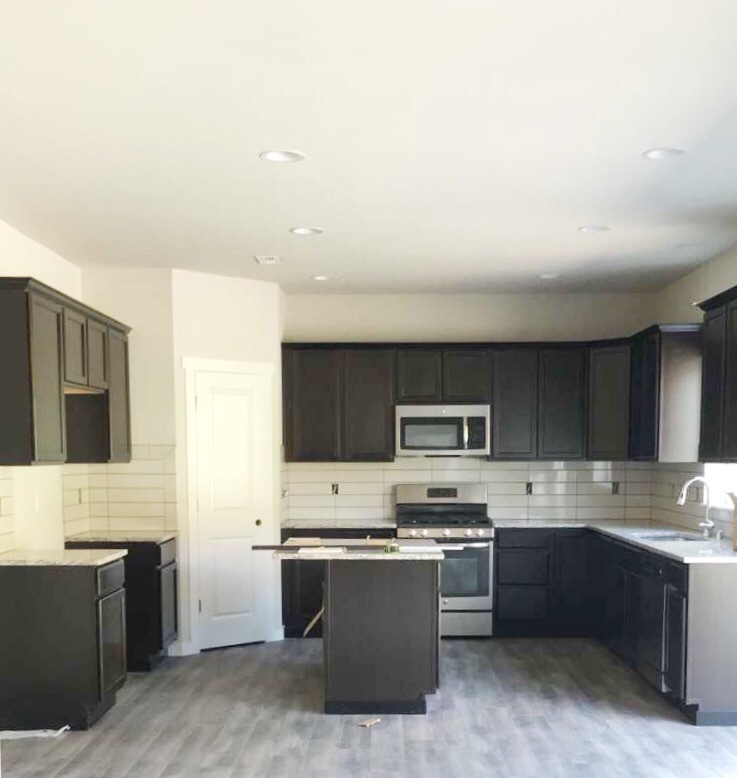 we will be checking in until our close date which is around August 18, but with new builds you never know the exact finish date so that may very well change. i will, of course, keep you guys updated! this is cale’s second home purchase, but it is my first so you can imagine how flippin excited i am! i just want to live in it now!! !